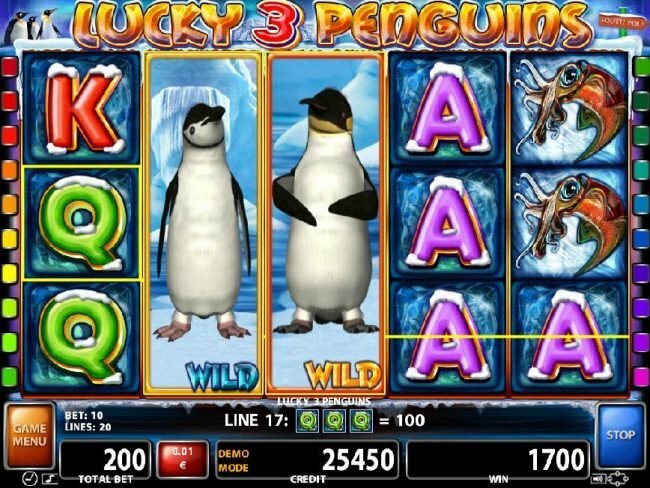 Lucky 3 Penguins online slot machine based on the Antarctica adventure theme with 20 lines and 5 reels from Casino Technology developers. 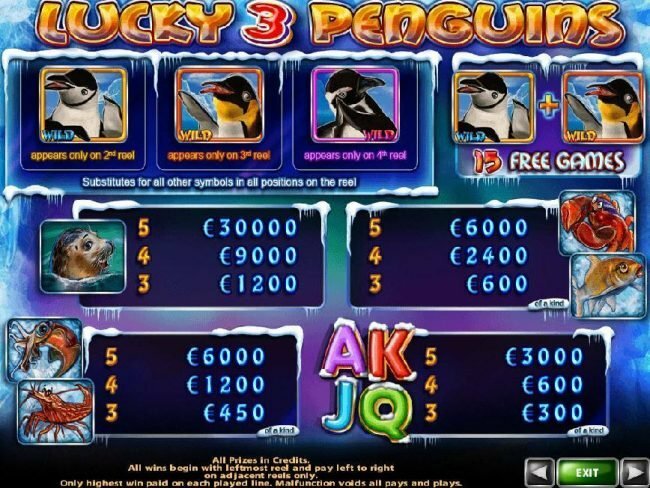 Lucky 3 Penguins Slots has not been reviewed yet, be the first to rate this slot. 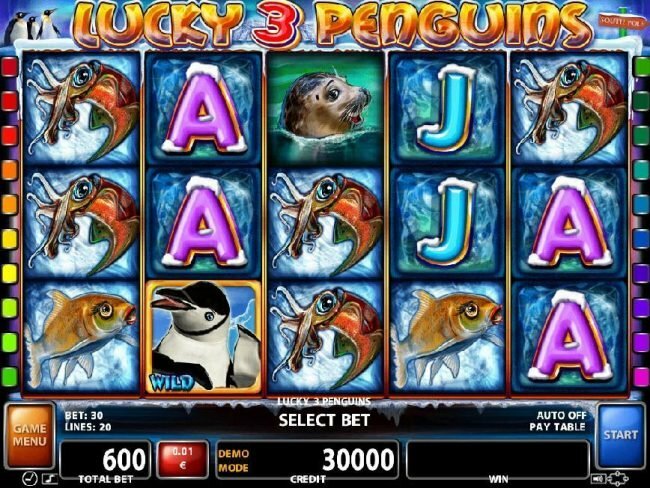 Lucky 3 Penguins is a Casino Technology developed 5 reel, 20 payline video Slot that has players sent to the south pole in search of beauty and wealth. 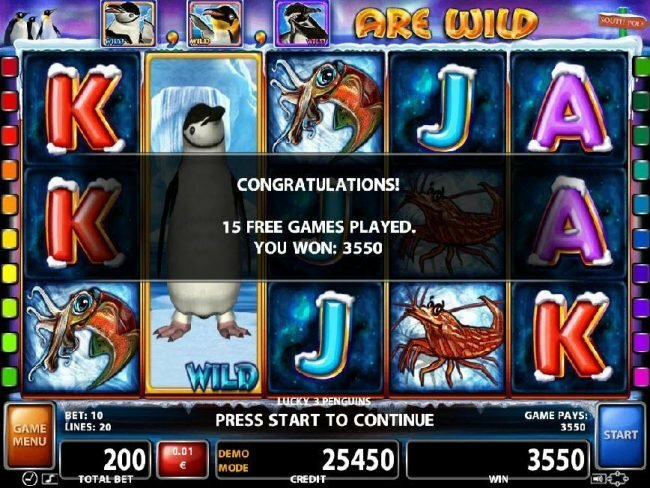 Free spins, wild substitutes and scatters are the available features of this slot. There’s also a jackpot prize valued at $30,000.00 which can be won. Casino Technology has always made it their priority to focus on the reels, not so much the backdrop. As such all that’s displayed in the backdrop is three penguins walking across a glacier. 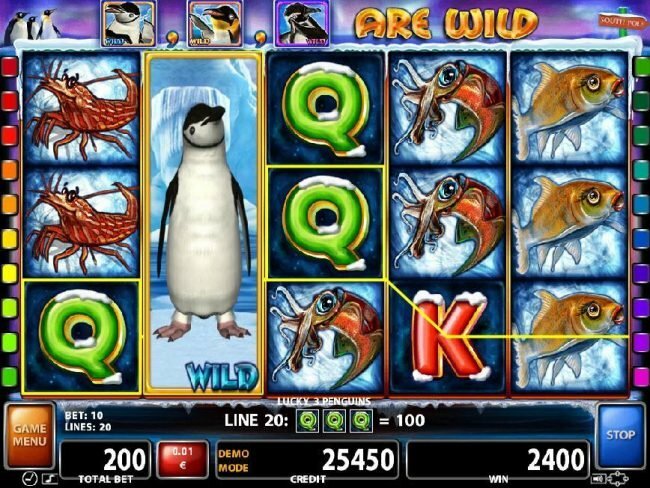 The reels give the theme its boosts with symbols like three separate penguins, an otter, a crab, fish, shrimp, lobster and themed poker suits. This is one of the better designed games to come from this designer. 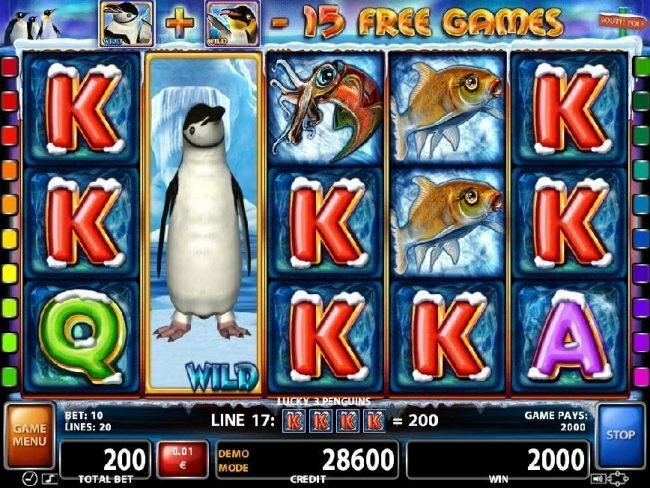 Playing this slot is an easy task. There are two ways it can be accomplished. 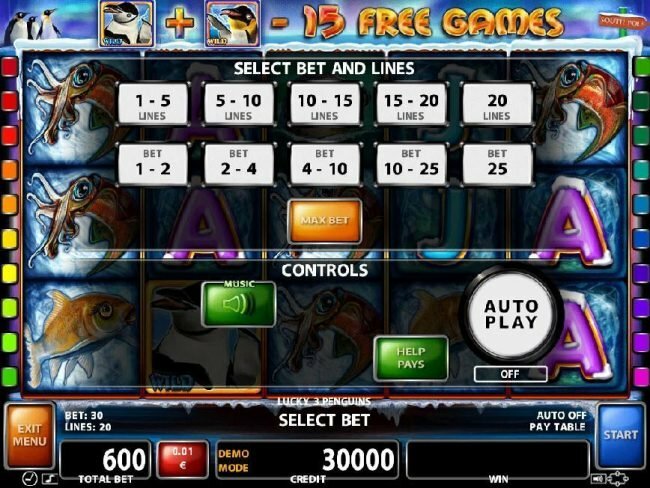 First is by clicking the game menu where you will be able to alternate the number of paylines in use and the cost of the wager placed on each of those lines. 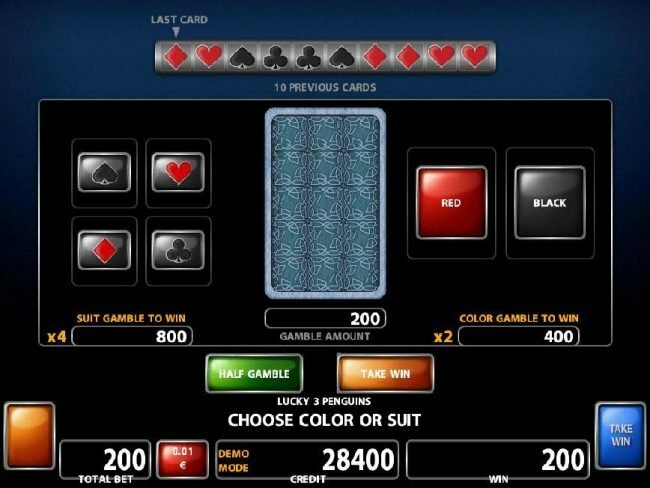 There’s also the option to hit “Max Bet” which causes for the $600.00 figure to be wagered. 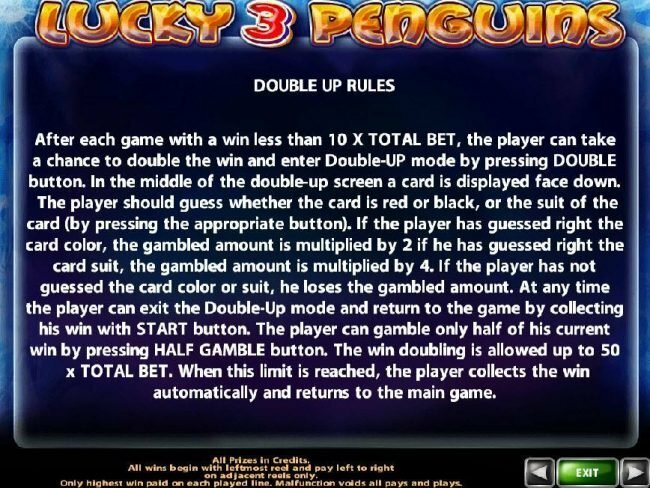 Lower bets are only possible by accessing the game menu. There are three separate wilds in this game. The first is the white penguin wild which is apparent only on the 2nd reel; the second is the orange penguin wild which is seen on the 3rd reel, and the final wild is the black penguin which is seen on the 4th reel. These icons award numerous prizes by substituting the standard icons whenever their seen. 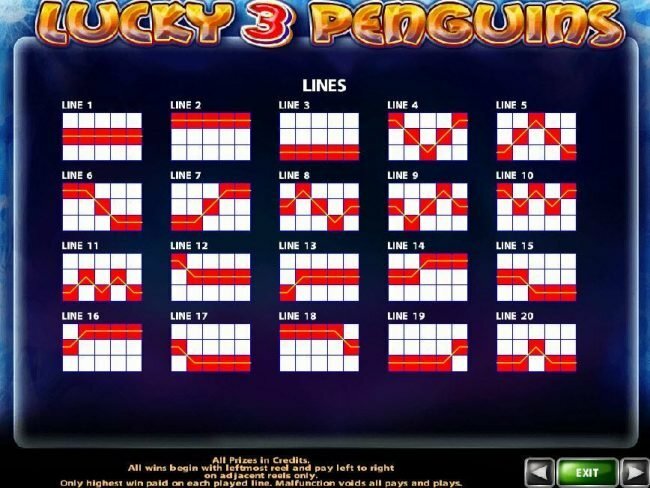 If both the white and orange penguin are present beside one another, then fifteen free games will be awarded. 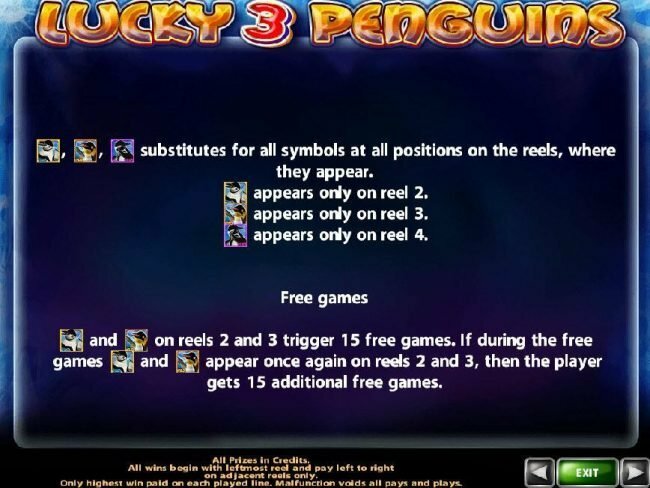 These free spins may not be retriggered. 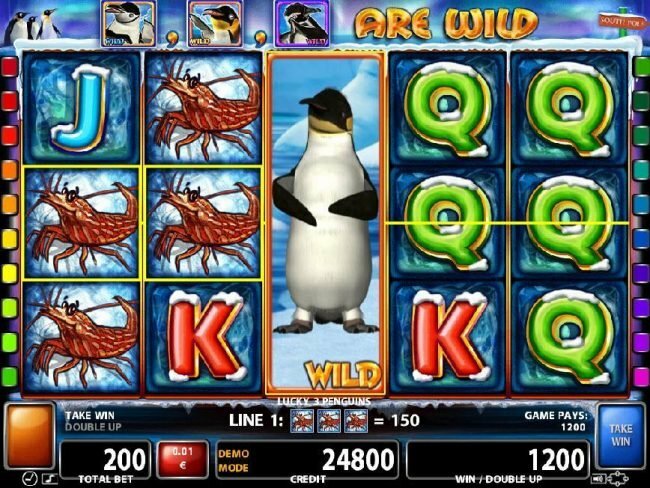 There’s also the chance at winning the jackpot prize of $30,000.00 during the Free Spins if five of the otters are simultaneously seen. 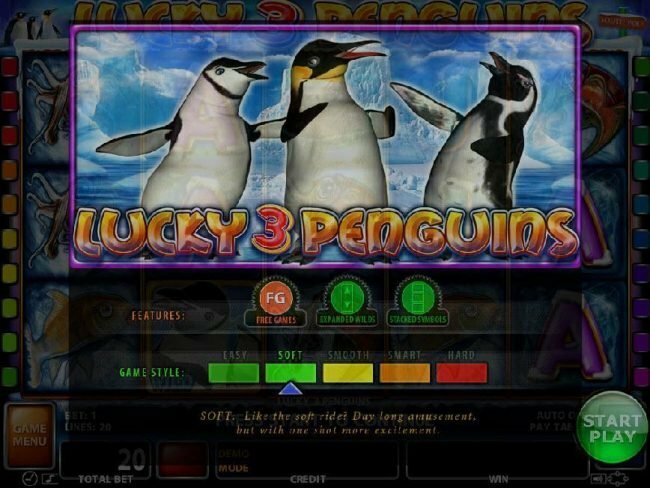 Lucky 3 Penguins, it’s one of the better designed games to come from Casino Technology. This helps to make the experience slightly better. 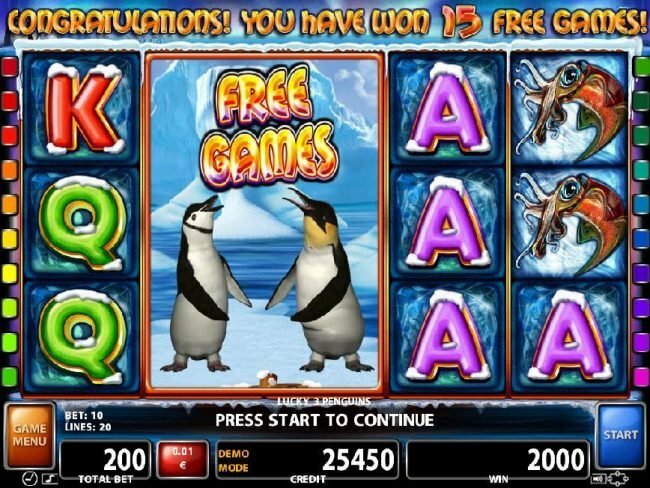 Overall, though, the focus of this game is the gameplay which always is benefiting the player thanks to the 98.17% payout percentage.